Came into a fortune, so bought himself a goat. But when he got his Nanny home, he found it was a Bill. Are all wearing bustles like their mothers used to do. And leave the rest to Providence and Paddy McGinty’s goat! Missis Burke to her daughter said, “Listen, Mary Jane, . Now who was the man you were cuddling in the lane? “Twas only Pat McGinty’s goat, ” she answer’d with a grin. She came back with powder and paint upon her face. You bet your life they never came from Paddy McGinty’s goat. She washed all her trousseau and hung it out to dry. For though l’m your bride, sure l’m not worth looking at. Mickey Riley he went to the races t’other day. The goat came up and grabbed at it and swallowed all the lot. “He’s eaten my banknote,” said Mickey, with the hump. They ran for the doctor, he brought a stomach pump. But all he got was ninepence out of Paddy McGinty’s goat. and one day for breakfast he ate some dynamite. and then he went and gobbled up a quart of paraffin. swallowed a spark and exploded and exploded with a bang. SO if you go to heaven you can bet a dollar note…. that the Angel with the whiskers on is Paddy McGinty’s Goat. 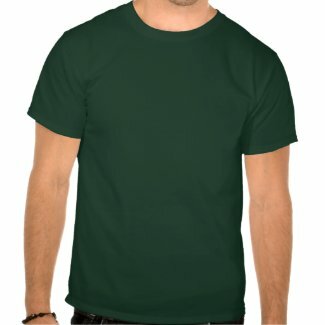 This entry was posted in T-shirts on March 1, 2015 by goatlady. 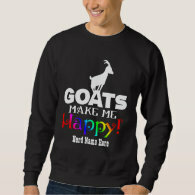 On a variety of merchandise for the goat person who has everything – Goats Make Me Happy – a fun and colorful design features a silhouette of a goat standing on the word GOATS and the word Happy in a colorful rainbow effect. 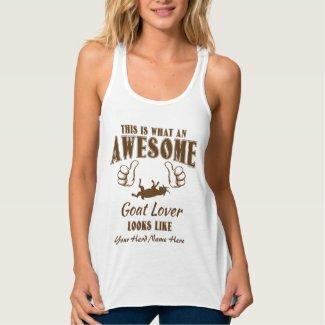 Liven up your bathroom with this vivid shower curtain – wear this adorable tee to your next goat event, carry your morning coffee in the insulated travel mug and it is ALWAYS time for goats with this Goats make me Happy wristwatch – top it all off with adorable ankle socks featuring this really cute goat design and carry your goat tote too. 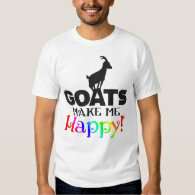 Customize these Goats Make Me Happy Shirts at our Zazzle Shop! 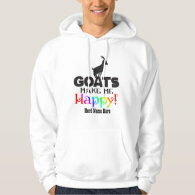 This entry was posted in goat gifts, goat t-shirts, T-shirts and tagged caprine, farm, GetYerGoat, GetYerGoat Shirts for goat lovers, Goat humor shirt, goat lover, goat lovers shirts, goat tshirt, goats, goats make me happy, Goats Make Me Happy shirt, livestock on February 22, 2015 by goatlady. 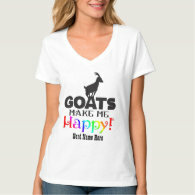 The ever popular Keep Calm parody has hit the farm, the goat farm to be exact. 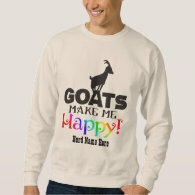 Goat Lovers Love talking goats and bragging about their kids, and telling folks all about goats. We have created the most popular goat phrases and put them along with various goat breeds for these Keep Calm Goats shirts. 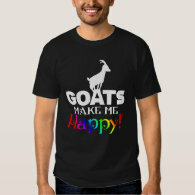 We feature silhouettes of a cute dancing goat, a dairy goat trio , Alpine dairy goat, Angora goat, Boer goat, LaMancha goat, Myotonic goat, Nigerian Dwarf goat, Nubian goat and Pygmy goat. We will be adding more breeds as they get created. 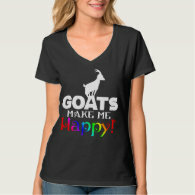 The keep calm choices are: Love goats, Show goats, Kiss goats, Raise goats and Milk goats. 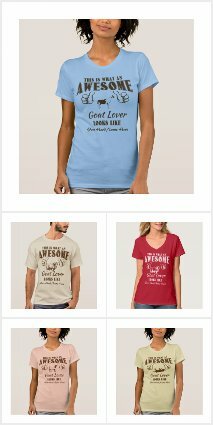 This entry was posted in T-shirts and tagged Alpine, Boer, customize with herd name, Dairy goats, GetYerGoat.com, goat breed shirts, goat shirts, goat t-shirt, Keep calm goats, keep calm parody, Kiss goats, LaMancha, Love goats, Milk goats., Milk goats. Angora, Myotonic, Pygmy, Raise goats, Show goats on January 14, 2015 by goatlady. REALLY? Gatsby Wedding Invitations ? This month we are featuring our Gatsby Wedding Invitations. A classic variety of Customizable and Affordable Great Gatsby Style Wedding Invitations and matching wedding stationery. This is the perfect choice for any Great Gatsby Wedding. Are you thinking of having a fall or winter wedding? Why not dress up the theme in Black and Gold ? These vintage Gatsby themes with art deco style design are a perfect roaring twenties style wedding. Visit vintage second hand shops to grab a roaring twenties style gown. 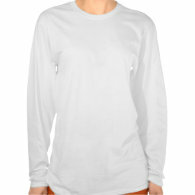 Ask friends to see if they have anything from years gone by in their heirloom closets. Gatsby Wedding Invitations can be easily customized by you right online before you buy. This entry was posted in Invitations and tagged art deco, art deco wedding theme, black and gold wedding invitation, classic, gatsby style, Gatsby Wedding Invitations, Great Gatsby Wedding, Roaring Twenties, roaring twenties wedding theme, vintage wedding invitation on August 22, 2014 by goatlady.